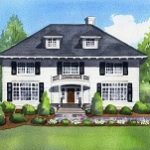 Our local Jersey Mike’s and Savory Spice aren’t the only businesses who give back to the community. (You still have a few more days to be a part of their respective “Month of Giving” campaigns, by the way.) Outta Hand Pizza Westfield also gives back. But, for them, it’s a year-round thing. Owner Burim Regjaj purchased Outta Hand Pizza Westfield just last year. Shortly after taking over the business, a hungry gentleman came in for a bite to eat but didn’t have any money to pay. After talking to the man, Mr. Regjaj learned that he was a veteran. It saddened him that, after giving so selflessly to serve our country, this man couldn’t even afford to pay for a slice of pizza. That’s when Mr. Regjaj decided to feed our vets and to get the Westfield community involved. Anytime someone comes into the shop to get their own pizza, they can pre-pay for a veteran’s meal. The business matches every single donation plus 20%. Then, whenever a veteran comes in to eat, they pay nothing. Quickly, Mr. Regjaj found that the generous donations of the Westfield community outpaced the actual number of veterans that came into the pizzeria. So, he decided to bring the meals to the vets. Some local veterans don’t have transportation. Mr. Regjaj understood that it might be difficult for them to come into the shop for their meal. 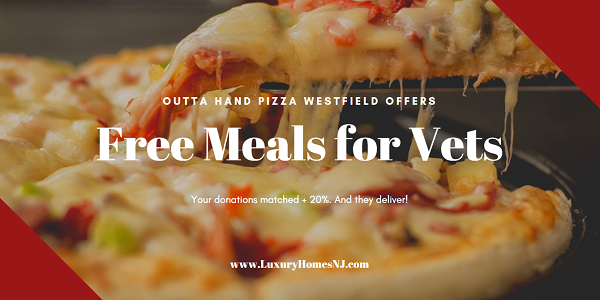 Once the prepaid meal “bank” reaches 30 to 40 meals, Outta Hand Pizza Westfield clears out the “bank” by preparing these meals and delivering them to the local veterans housing. Would you like to help Outta Hand Pizza Westfield continue feeding vets for free? You can donate in the shop (located at 311 South Ave W) while you’re picking up your own delicious pie. Or donate by phone (908-233-9300). The pizzeria accepts cash, credit cards or Venmo payments (@outtahandpizza-pay). 100% of all donations go directly to feeding our vets.